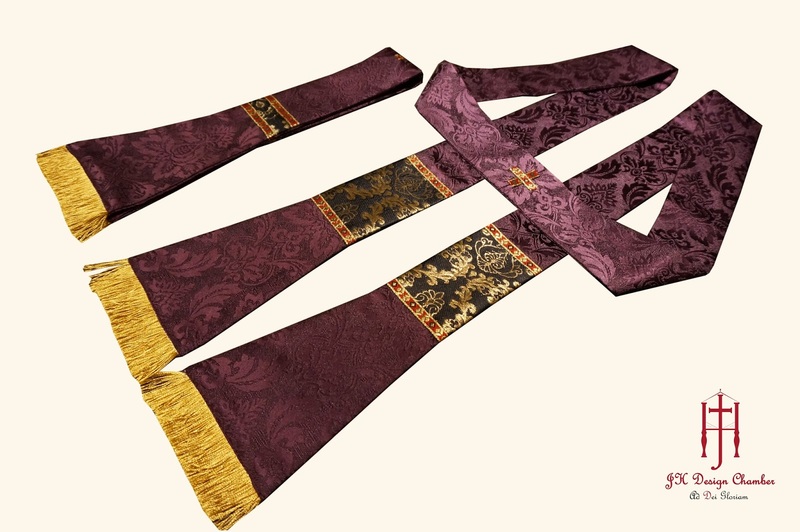 A Malaysian designer and ecclesiastical tailor. 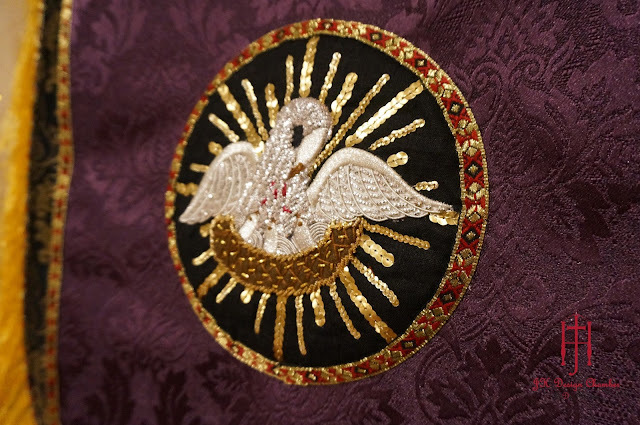 Serving since 2008, making and providing vestments, furniture and furnishing to all around the world. 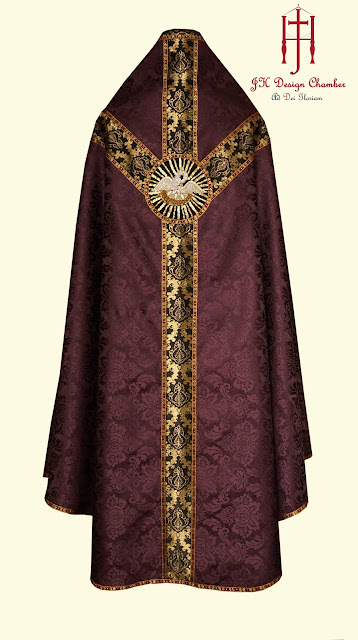 All vestment shown here are custom made, they are not fabricated in quantity but single piece in my tiny studio. 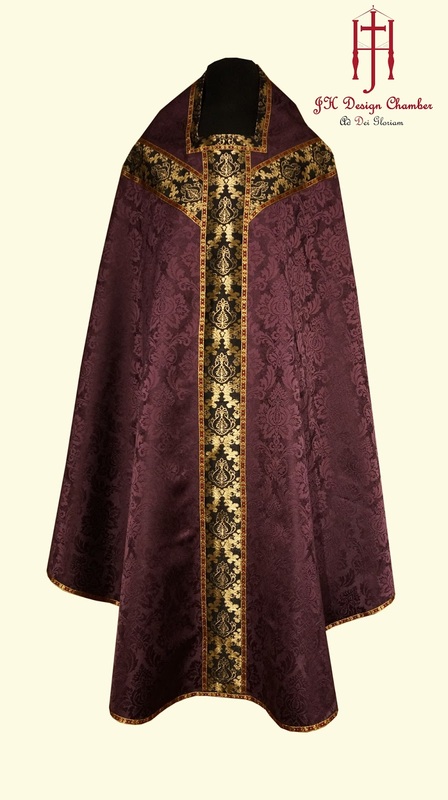 Traditional semi conical chasuble made of high quality purple damask. Braid surrounding entire chasuble edge while a hand made embroidery made of metal.